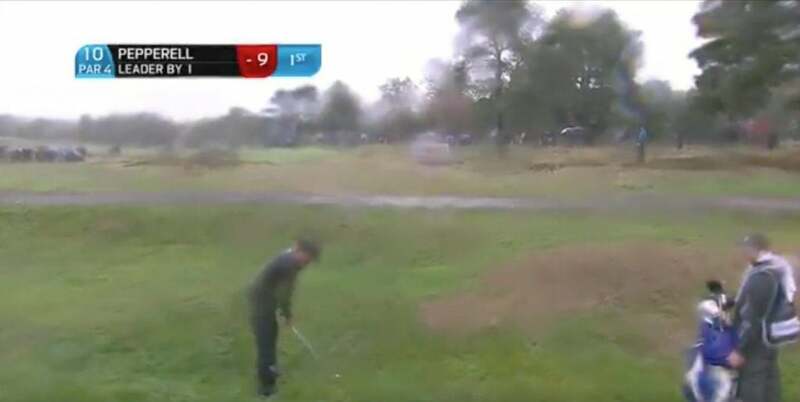 It was a pretty strange weather week at the European Tour's British Masters. In classic British fashion, the tournament alternated between nice and sunny, wildly windy, and soaking wet. Here's an example of the weather eventual winner Eddie Pepperell (and the rest of the field) had to deal with during the final round. 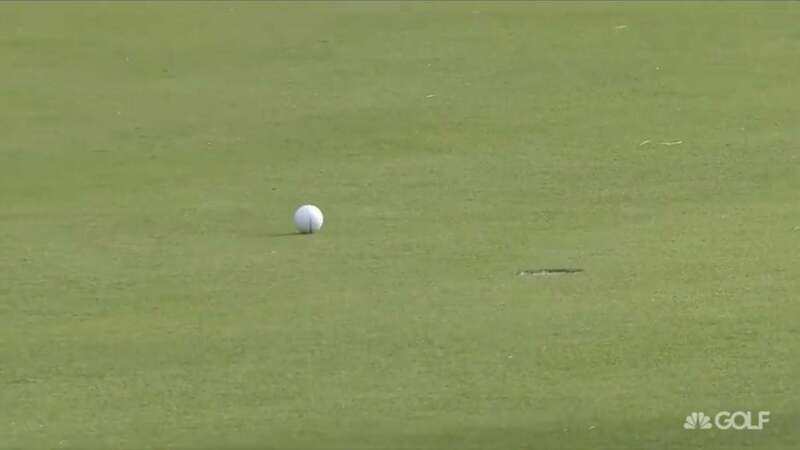 But the strangest moment of the week came during Friday's second round. Rose hit a solid putt on the 10th hole that looked pretty good, if slightly unspectacular. A nice lag and a simple tap in forthcoming. Except it didn't quite happen that way. 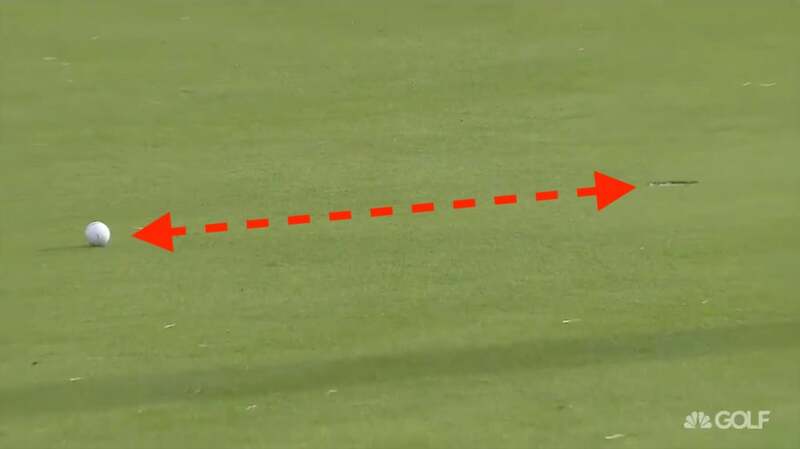 A slight downhill slope, combined with ball running out of steam and a hearty gust of wind propelled the ball from tap-in range to a tricky six-foot range.